As mentioned on many occassions I love Bill Streeter's mini-docs (mini-documentaries) on St. Louis alternative arts and culture scene. They range from interviews with local artists to local events like local semi-pro wrestling and ladies roller derby. 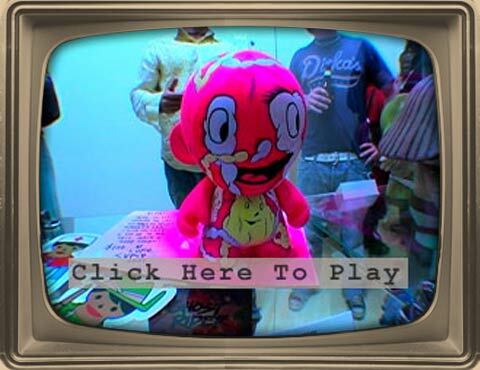 Bill posted his latest mini-doc, this one on the Munny Art Show in St. Louis. The Munny is a design-it-yourself vinyl doll. Watch the video, it's pretty cool. Play Flash version Play Quicktime version A Munny (pronounced like “money”) is a vinyl toy that comes completely blank so it can be customized. Star Clipper Comics sponsored a Munny Art show last week for St. Louis Artists to show off their own customized Munny creations. LO-FI SAINT LOUIS was there to document the event. Music by Dan Warren, via the Podsafe Music Network.